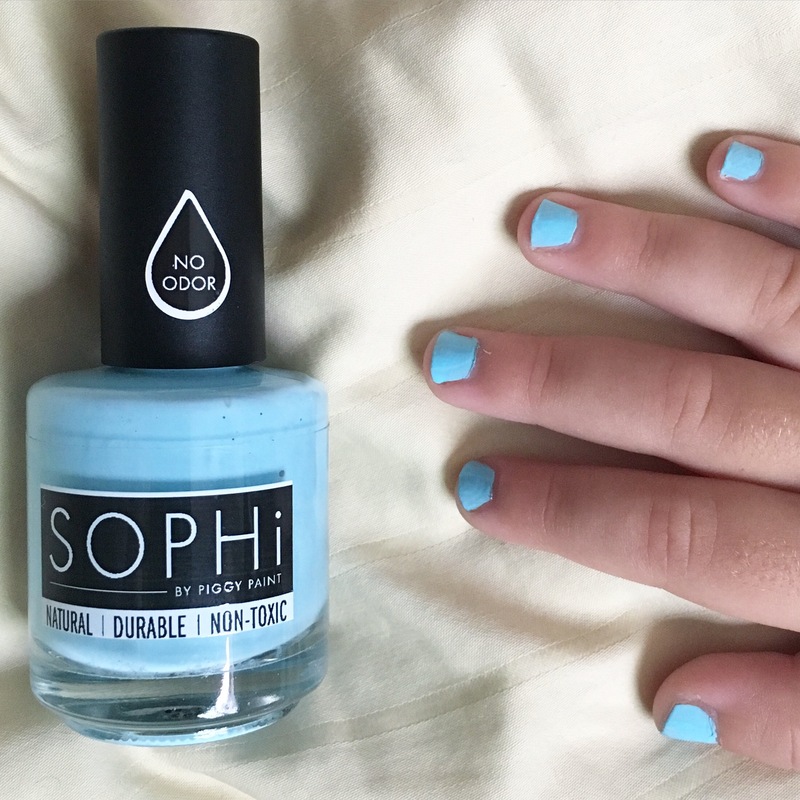 Sophi is a completely non-toxic polish by Piggy Paint so I let my kiddo pick one out. This is a light blue that is totally opaque. Doesn’t last long but she had fun with it in the safest way! This entry was posted in swatches and tagged blue, creme, kids, nail polish, non toxic, pastel, pretty shore about you, sophi, swatch, toddlers on June 25, 2016 by hollyshimmerspark.